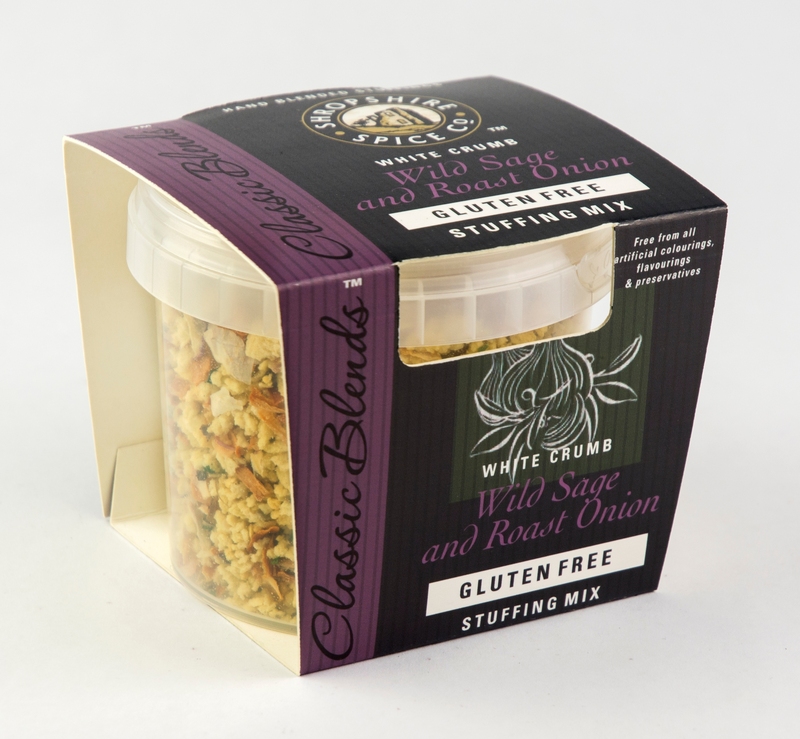 Gluten Free Wild Sage & Roast Onion Stuffing mix is deal with chicken, turkey or pork. Allergy Advice: Allergens present in the dry mix are highlighted in the ingredients list as bold. 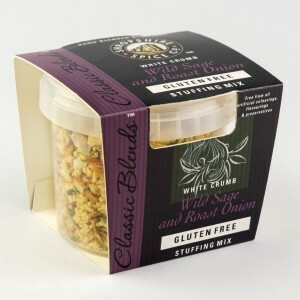 Ingredients: Gluten Free Breadcrumb (Rice Flour, Gram Flout, Maize Starch, Salt, Dextrose), Roasted Onion Flakes 8%, Shallots, Wild Sage 3.5%, Parsley.